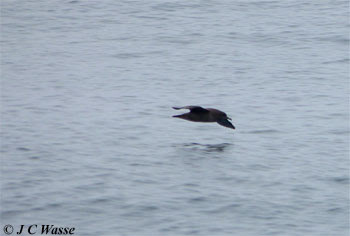 "Negative news on the Garganey but there's been a Barnsley Sooty Shearwater!" As Kirsty Wark (or Jan Ravens) might say, "More on that story later!" Back home for Xmas and New Year. Birding was 'steady', success heavily influenced by the weather. Birding concentrated on the moorlands where it started off foggy just before Xmas, then rainy before progressing to grey leaden skies during most of the Xmas week with occasional short lived bright spots. 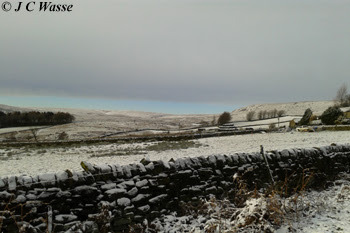 A morning of snow before New Year swiftly gave way to a return to the grey. One constant contributing to the difficult birding was the wind, it was bloomin' relentless. 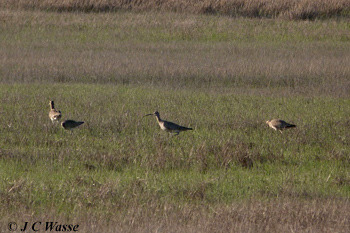 No calm days noted, days when Pink-footed Geese can often be seen moving cross country in their skeins as can be typical in South Yorkshire area at this time. Thanks to the Polar Vortex pumelling North America and fueling the jet stream, this yielded an essentially mild, windy and green festive period in the UK, Yorkshire being no exception! 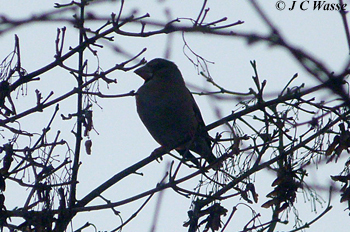 Birding highlights included the splendid Hawfinch spending time at Broomhill Flash (Barnsley) car park munching away before taking in a circuit of the village, Wath Tick #191. 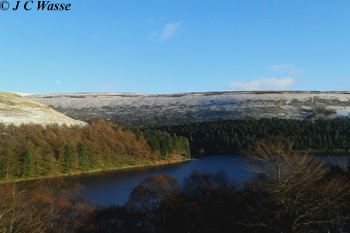 Up on the moorlands the Parrot Crossbills played hide and seek at the plantation above the true Windy Corner of Howden Reservoir, on the Derbyshire side of the valley. Not only did the Crossbill's id test the biders, so did the terrain. The steep track leading through the plantation was either muddy, frozen, snowy or a ranging torrent of melt water depending on the day of the visit. If you've seen the Bradley Wiggins Skoda advert on telly of late, the track leads its way from the road bordering the reservoir through the dense tree cover up to the left in the last shot of the advert. 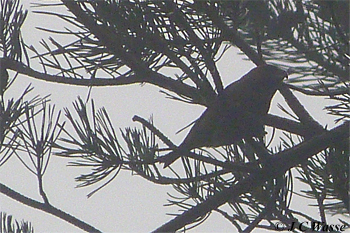 Connected with the party of 12 Parrot Crossbills on 2 visits, they were keeping themselves to themselves even though up to 20 Common Crossbills were seen on occasion. The subtly different 'jeep' call of the Parrots could be picked out after decent study, compared with the 'jip' call of their commoner cousins. Hope they stay to Easter for further study. Not all of them had large bills probably due to varying maturity. Whilst waiting for the rare finches Ravens could be seen pairing up over the Yorkshire moorlands to the east and some raptors were glimpsed. Elsewhere on the moorlands Red Grouse showed well, Buzzards were commonplace and a couple of Stonechats were a nice sight at Low Moor. Start of the new year and birders think more of their lists and year ticks to come. Whilst I've not kept a year list for many a year an added interest this time around concerns changes to the British List. Not just a few ticks to add here or there, if like me you prefer the amchair tick approach, but this time ther have been wholesale changes. This is due to the British Ornithologists' Union (BOC) adopting the International Ornithological Committee (IOC) World Bird List for the British list, effective 01 January 2018. So what's in and what's out? From a personal perspective it's bye bye to Fea's Petrel, Hudsonian Whimbrel and Isabelline Shrike, with a big 'How Do' to Least Tern and Tundra Bean Goose. Was lucky to see the Scillonian Fea's Petrel (Aug 2001) as it clung to the wake for about 90 minutes as the pelagic sailing started its journey back to Penzance. A late in the day fly by Fea's/Zino's following a line of Manxies off Flamborough (Aug 2003) was a cracker as I was glad to stay an extra 15 mins to help with a decent Manxie count. Not got a clue now as to what I have now seen off Madeira (2010). Can Desertas and Fea's Petrels be ideed in the field? Can no longer joke with American friends not being able to tick Hudsonian Whimbrel. 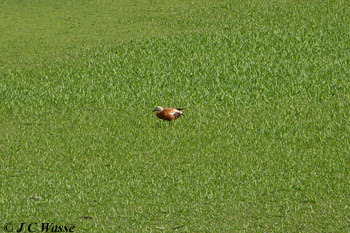 This side of the pond saw the bird in south Wales on Cup Final Day (May 2002). Will the Spurn Isabelline Shrike of October 1991 or the Horsey, Norfolk individual of October 2006 get identified to type? I read somewhere that it's a brave birder who identifies them to what was sub-specific level, even with birds in the hand. In the old days they used to be referred to by their scientific name 'fabalis' and 'rossicus', but nowadays Taiga and Tundra seem to be the preferred prefix for our Bean Geese pair. 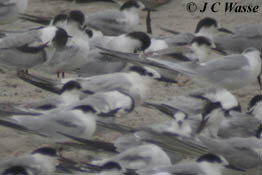 This one probably gets more attention for the birder's local list(s). From a Barnsley perspective my first Bean Geese were the Whitley Common flock (early 1988) - I'm sure they were Taiga's. 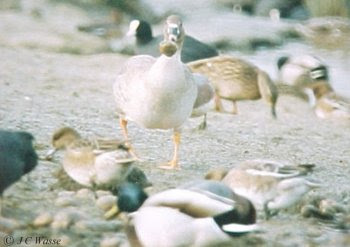 The one accompanying a Pink-foot at Broomhill Flash, Barnsley in March 1992 being one of the wandering Tundra variety. Remember hearing a squeak from behind the shingle bank of Rye Harbour, Sussex one morning in June 1992 soon after dawn. The perpetrator flying over from its out of sight roost revealing it's grey rump as well as the unusual call. 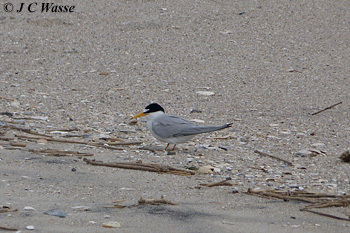 That was a typical view of the (presumed) transatlantic visitor, Britain's first Least Tern. Armchair ticks and tidy up. Been busy this time. GB and Yorkshire Siberian Accentor, GB Western Swamphen, World List - Cabot's Tern, Monk Parakeet, Ruddy Shelduck and Audubon's Warbler. The latter's interesting. Seen them in Washington State, USA, so they're on my world List but if I kept an American list, it would be missing as this split is not currently recognised having been turned down in the American Ornithological Society 2017 update. Have fun sorting your lists. Hope I've not bored you with the stats. If you're still with me you may be wondering what on earth the line, "Negative news on the Garganey but there's been a Barnsley Sooty Shearwater!" is all about. When changing lists there's always one missing, or one extra present when comparing new and old lists. 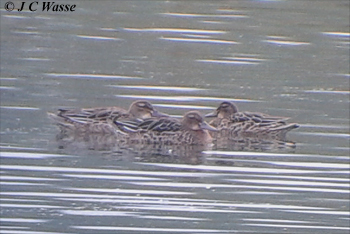 Realised Garganey was missing from all, and had given myself a Barnsley and Wath Area Sooty Shearwater... which would be nice!